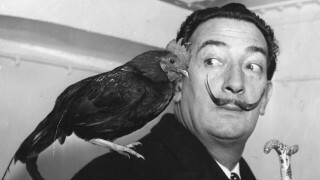 Another world-famous painter and artist Salvador Dali is also wellknown for his funny beard. He was a master of fantasy and realizations of dreams. He in a paradox citation was convinced: “Have no fear of perfection. You’ll never reach it”. It’s calming to know what he said and it’s true: You can never reach perfection and the more to try to the more you loose your own creativity, your own emotional life and its surprising expression.